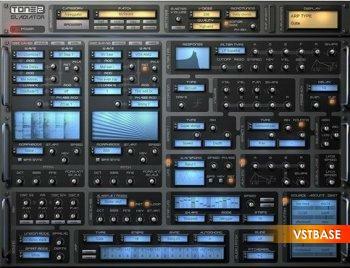 The award-winning Gladiator is a popular synthesizer, which is used for a large number of professional productions. It offers a groundbreaking approach to sound generation. It's exclusive HCM-synthesis covers a new and unique aural territory. The update to v3.0 is a major update, which is available for free for all Gladiator2 users. It includes a larger and resizable GUI, a patch browser, enhanced sound quality, a bigger sonic range, a more user-friendly interface and many new features. Gladiator3 is downward compatible. Existing song-projects and patches can be loaded without any further steps necessary. They will benefit from the enhanced sound quality. The patch rankings are stored within the file "Ranking.rnk"
6 additional lfo waveforms: "Stair 4 up","Stair 8 up","Stair 4 down","Stair 8 down","Stair 4 up/down","Stair 8 up/down"
IMPORTANT NOTE: Read the instructions and follow them carefully.